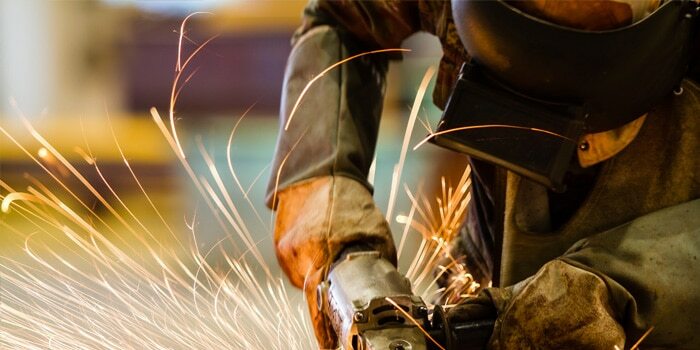 Alsco New Zealand understands the specifics of the manufacturing sector and that’s why we have carefully tailored our services to match the needs of the businesses from this industry. Our offer includes a wide range of industrial workwear, floor mats that can help with hygiene and workplace fatigue, revolutionary Ecosafe Washer technology, hand washing and hand drying systems, as well as the First Aid services. You will find a wide range of industrial uniforms at Alsco New Zealand. They are all made to be extremely durable, yet light and pleasant to wear. Our range of products includes the high visibility workwear and many other garments, mainly tailored in polycotton. As a great bonus, our garments can be made to be stain resistant, UV resistant or flame-retardant. It’s a given that workplace environments in the manufacturing industry must be kept as clean and tidy as possible. That’s why you should think about our Alsco Mat Service which helps protect your floors from dirt and premature wear plus reduces the risks that come with slippery surfaces. Our mats offer your high traffic entrance areas protection against a build up of dust and dirt while our Non Slip Mats are a smart addition to areas where spills happen to ensure staff safety. Alsco Anti Fatigue Mats too can be beneficial for staff where they are required to stand for long periods. It is not possible to get rid of all those issues with oil and grease on industrial parts in an environmentally friendly manner. The best part is – this is done without the use of aggresive chemicals that damage the parts, workshop surfaces and other items they come in contact with. Alsco Ecosafe Washer does it all. You can combine it with our industrial wipes, continuous towel and flawless washroom management system to ensure the highest levels of hygiene for your workplace. Manufacturing usually involves heavy tools, a lot of machinery and many tasks done by hand. All those present significant health and safety risks and that is why you need an elaborate first aid plan. Specialised First Aid Kits that Alsco offers are always up to date, well-stocked and regularly refilled. Together with the Eye Wash Station and the Automated External Defibrillator, they offer all you need for a safe workplace. There are so many things that can go wrong in only one working day when your business is in the manufacturing industry. It is not all about cuts and bruises that you can easily fix with a well supplied Alsco First Aid Kit. It is also about containing the spills of dangerous chemicals, providing first aid to those who fall victim to a cardiac arrest. That’s why Alsco offers spill kits, as well as defibrillators. All workplaces in all industries need to be diligent when it comes to maintaining high hygiene standards. However, it is challenging to do so when your manufacturing business involves all sorts of oils, dirt, grease and dust. You can still do it with the help of Alsco’s Fresh & Clean Managed Hygiene and Washroom Rental programs. They include thorough and functional hand drying and hand washing systems, as well as services that make washrooms in any workplace completely clean and sanitary.